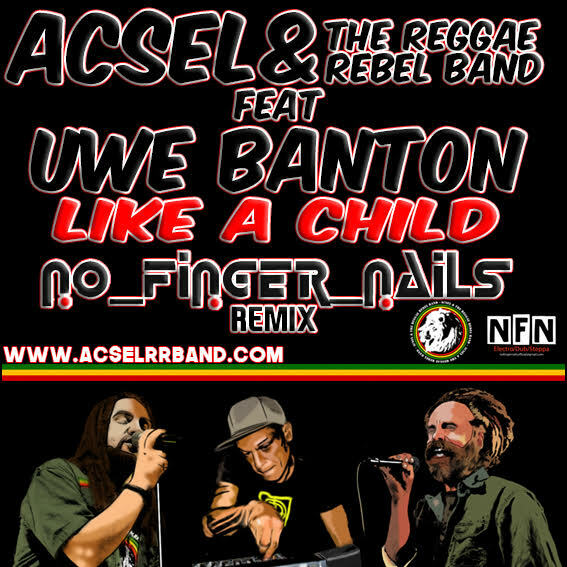 Out on March 11, in free downloads from www.acselrrband.com, a new version of "Like a Child" by Acsel & the Reggae Rebel Band feat. Uwe Banton, remixed by No Finger Nails. The original song is contained in "The Tree of Life", the album already out and accompanied by the video "Like a Child". Fuori l'11 marzo, in free download da www.acselrrband.com, una nuova versione di "Like a Child" di Acsel & the Reggae Rebel Band feat. Uwe Banton, remixata da No Finger Nails. La canzone originale è contenuta in "The Tree of Life", l'album già uscito e accompagnato dal video "Like a Child".